The political rivalry between Abu Mazen and Salam Fayyad is causing the latter to become more extreme in his positions against Israel — this is the concern that was recently raised among various top political officials in Jerusalem. Israel has discerned of late an intent by Fayyad to promote the possibility of his becoming Abu Mazen’s heir as PA chairman in the future, despite the fact that he doesn’t belong to Fatah. To this end, Fayyad has begun adopting a hard line toward Israel — despite the expectation that Abu Mazen will soon begin the proximity talks with Jerusalem. Among other things, Fayyad recently refused to meet with Israeli political officials and even went to pray at the Tomb of the Patriarchs in Hebron as an act of opposition to its being declared a national heritage site. Another battle that Fayyad is leading is against the sale of products from the settlements in PA stores: Fayyad ordered that this be strictly enforced and he takes part in demonstrations where they burn Israeli products. Israel is particularly concerned by the fact that Fayyad is considered moderate by the US and the West, and free of corruption. Furthermore, as finance minister, he is the main beneficiary of the PA’s economic growth. Another deputy prime minister, Minister Bugi Yaalon, also related to the upcoming talks: “The Jordan Valley is the Land of Israel’s and the State of Israel’s eastern defense line and it must remain in any agreement,” he said at a ceremony in the Jordan Valley. The photo is not very ambiguous: Point blank range is certain and it would be hard to claim that the protester was not incapacitated when the spraying occurred. I would be more skeptical if this was an isolated incident. It is not. As Emily Schaeffer pointed out yesterday, unnecessary use of force by Israeli security forces in suppressing unarmed protest is the norm. 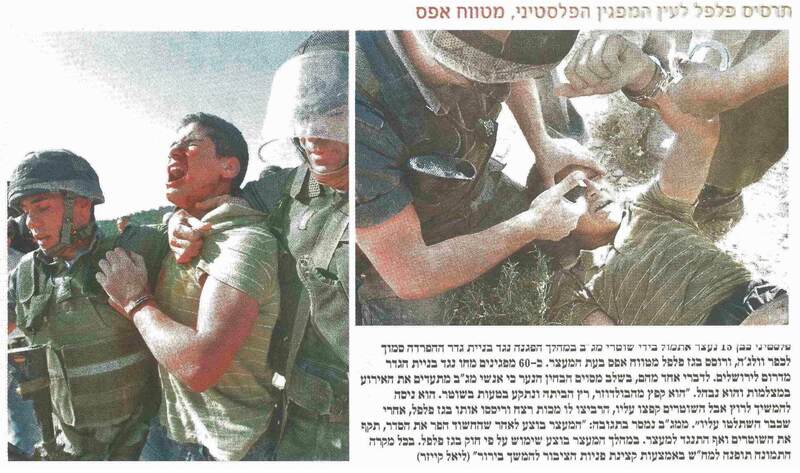 A recent Coteret post asserted that the new term “Popular Terror” was useful in creating the dehumanization necessary for Israelis to accept this phenomenon. Le Monde: A European J Street? The name J Street is already taken, so this is called J Call. On 3rd May, in Brussels, a new European Jewish movement for peace between Israelis and Palestinians will be launched. The similarities between the organisation and the American J Street, a pro-Israeli and pro-peace organisation created in April 2008, are not coincidental: in common with J Street, the founders of J Call are alarmed at the complete deadlock in discussions between Israelis and Palestinians, and support international intervention to try and salvage the wreck that the political peace process has become. “Israel faces existential threats,” they write in their “Call for Reason,” launched in the hope of assembling and uniting the European survivors of the ‘peace camp’ once identified with the Israeli left, which has progressively crumbled since the second Palestinian intifada. 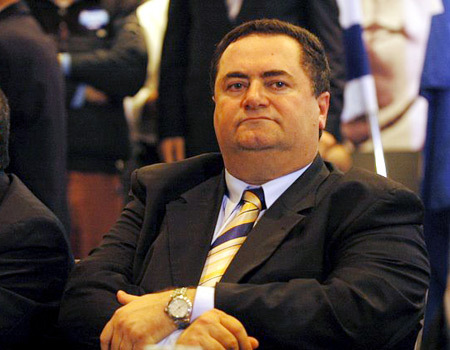 In Israel’s last election in 2009, combined support for the Zionist parties thought of as ‘the left’ (Labour and Meretz) collapsed to an all-time low of 16 seats (out of 120). Ron Dermer signaling change of Israeli govt. posture towards J Street? The Israeli Government is changing its attitude towards J Street; it has decided to engage with the lobby — considered not friendly to PM Benjamin Netanyahu, albeit close to the Obama administration — to the front against Iran. Ron Dremer, the PM’s political advisor, will meet today with a delegation of the leadership of the American left wing organization. So far the PMO has abstained from meeting the group’s representatives, but Jerusalem has decided to change strategy, and to try and recruit the lobby to the efforts to impose tougher sanctions on Iran. A delegation of the Jewish American lobby is visiting Jerusalem this week. Yesterday it met with President Peres, and later this week it will travel to Ramallah and Jordan for further meetings. A press release the delegation distributed said “J Street is the political home for pro-Israel, pro-peace Americans. The organization gives political voice to mainstream American Jews and other supporters of Israel who believe that a two-state solution to the Israeli-Palestinian conflict is essential to Israel’s survival as the national home of the Jewish people and as a vibrant democracy”. The most fascinating interview you did not read appeared this month in Halohem, the newsletter of the IDF disabled veterans organization. Perhaps it was the esoteric platform, perhaps it was the circumstances of the interview, and perhaps because the time had simply come—Maj. Gen. (res.) 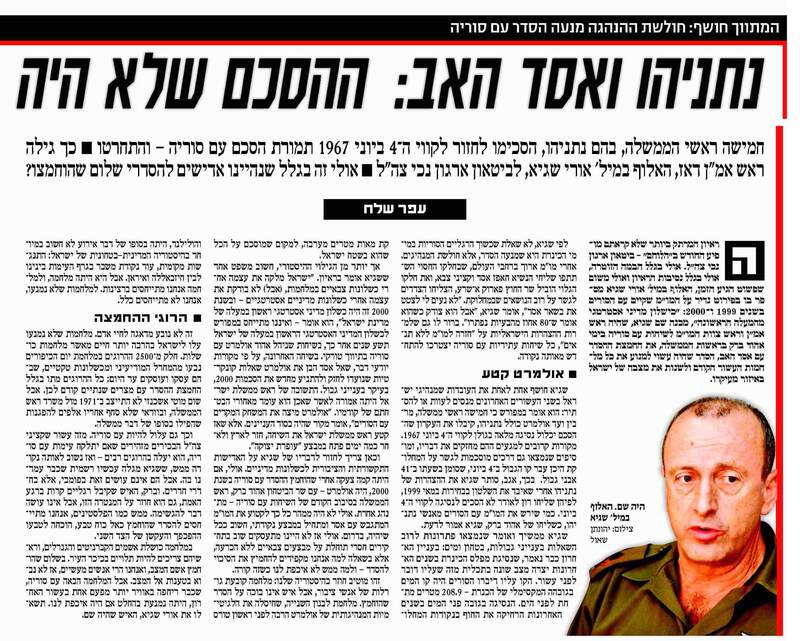 Uri Saguy tells in the interview, in rare detail, about the negotiations he held with the Syrians in 1999 and 2000: “A strategic diplomatic failure of the first order,” says Saguy, who was the director of Military Intelligence and head of the negotiating team for the talks with Syria in Ehud Barak’s days as prime minister, referring to the missed opportunity to reach an arrangement with Hafez Assad; such an arrangement could have prevented all the wars in the past decade and fundamentally changed Israel’s situation in the region.According to Saguy, it was not the question of Syrians dipping their feet in the water of the Kinneret that prevented an arrangement, but rather the weakness of the leaders. After lengthy negotiations throughout the world, the secret part of which included envoys of president Hafez Assad and military officers, and the open part of which was led by foreign minister Farouk Ashara, the sides managed to bridge their differences in most of the disputed issues. “I feel uncomfortable about quoting Bashar Assad,” Saguy says, “but he’s right when he says that 80 percent of the problems were resolved.” It is also clear to him that despite the Israeli declarations about “returning to negotiations without preconditions,” any future talks with Syria will have to be renewed from the same point. Saguy reveals in detail the facts that Israel’s leaders over the past two decades have been trying to distort or conceal: He says explicitly that five prime ministers, from Rabin to Olmert, including Netanyahu, accepted the principle that an agreement would include a full withdrawal from the Golan to the June 4, 1967 borders. Sources close to the talks held at the time corroborate his statements, and add that agreed-upon ways were also found to bridge the disagreement over the question of where the border line passed on June 4, which was demarcated in the past by 41 boundary markers. In stating this, incidentally, Saguy is contradicting Netanyahu’s statements made after he lost the elections in May 1999, according to which his envoy Ron Lauder did not consent to a withdrawal to the June 4 borders. As the person who inherited the negotiations with the Syrians from Netanyahu’s aides, as Ehud Barak’s envoy, Saguy should know. Saguy goes on to say that solutions were found to most of the questions pertaining to borders, security and water: On the latter matter, it has already been said that the drop of the Kinneret level in recent years has created a completely different situation than the one discussed a decade ago. The line referred to by the Syrians was the water line at the Kinneret’s maximum height—208.9 meters below sea level. The drop in the water level in recent years has shifted the disputed points of the shore hundreds of meters to the west, to a place that everyone agrees is in Israeli territory. But more than the historical revelation, one sentence that Saguy says in the interview is important. “Israel berates itself after military failures in wars, (but) does not examine itself after strategic diplomatic failures—and in 2000 it was a strategic diplomatic failure of the first order for the State of Israel,” he says—and does not explicitly address Israel’s strategic diplomatic failure of the first order that occurred nine years later, in the talks that Ehud Olmert conducted with Syria through Turkish mediation. In the last conversation, according to informed sources, Bashar Assad asked Olmert concrete questions intended to bolster and restore the 2000 understandings, mainly on border issues. The Israeli prime minister’s response was supposed to confirm that he indeed stood behind his predecessors’ assurances. “Olmert exhausted the foreplay with the Syrians,” an informed source says. But then, the Israeli prime minister cut off the meetings, returned to Israel, and a few days later launched Operation Cast Lead. Schaeffer: What if Bil’in held a demo and the army didn’t show up? 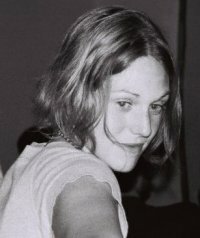 Emily W. Schaeffer is an American-Israeli human rights lawyer and activist based in Tel Aviv, born and raised in the Boston area. Click here (or scroll to bottom of post) to read a profile of Emily in Ode Magazine, which selected her as one of 2009’s 25 Intelligent optimists for her work in Bil’in. Cross-posted from The Only Democracy? Some of us have become so used to West Bank demonstrations meaning major Israeli army presence, and, typically, the use of weapons, that we have forgotten what demonstrations in a democracy look like. We’ve forgotten that a protest against oppressive working conditions in downtown New York City, or against oppressive abortion policies in Fredericton, Canada, or against wars in Afghanistan and Iraq in cities including London, Sydney, Paris, San Francisco and Toronto — means police presence only when the protests become so large that they overcrowd public spaces and need direction, when they damage city property, or (get this) when the protesters themselves might be at risk from onlookers with opposing views. And so we attend demonstration after demonstration — from Bil’in to Al-Ma’asara to Hebron to Nabi Salah,and more — and we are enraged time and time again by the unjustified, disproportionate, immoral response of the army and border police. But we hardly ever ask ourselves: Why are they even here? What would happen if the army didn’t show up one Friday in Bil’in, for instance? If the army hadn’t shown up on Friday, April 23, at the 5th Annual Conference Demonstration, then Eymad Rezqa (also spelled Imad Rizka, dedicated Palestinian-Israeli activist) would not have been shot in the head with a tear gas canisterand rushed to surgery; 2 Italian demonstrators, one Israeli activist, 2 Bil’in residents, a Palestinian woman from Bethlehem and a Palestinian journalist would not have been lightly injured by direct shots or shrapnel of tear gas and shock grenade canisters, and as it is rumored from a new type of weapon; 3 Israelis, one Mexican citizen, and one Palestinian would not have been arrested and detained for nearly 12 hours, released on the condition that they post bail and stay out of Bil’in and Ni’lin for 15 days; hundreds would not have suffered from the horrible feeling of tear gas inhalation (which studies show may damage reproductive organs, among other risks); and several pre-teens and teens might not have risked being caught by army cameras today only to be arrested out of their beds tomorrow and called in for interrogation for stone-throwing, likely to be given months of jail time for an offense that in most countries would bring a fine or perhaps a few weeks’ community service. 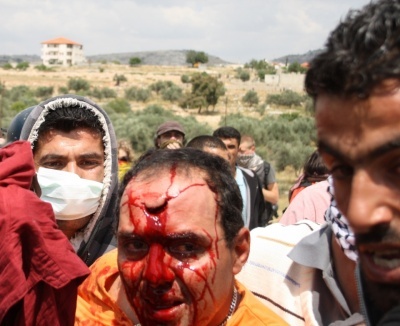 The army has repeatedly claimed that their use of dispersal tactics (that have proven lethal) against the demonstrators is based on 3 main factors: 1) the demonstrations in and of themselves are illegal, as according to Israeli military orders a gathering of more than 10 people with a political or ideological purpose is an illegal assembly (and as of the latest military order it is illegal for Israelis to be within 200 meters of the wall); 2) they are responding to the dangerous stone-throwing by demonstrators, and in fact several soldiers and border police have been injured by these stones; and, 3) they are protecting the wall. So technically when 10 Palestinians sit in a courtyard and discuss over tea the fact that they couldn’t access their fields yesterday they are committing an illegal act and should be tear gassed and/or arrested. Why does this sound logical to any thinking person? But let’s bring it to the more common example — the demonstration. Popular protest exists all over the world. Occupation is a scenario that logically leads to protest, and in fact under international law it is fully justified. Now Israel can compare itself to plenty of brutal occupations and dictatorships and perhaps still come out on top; but that’s not what Israel proclaims itself to be. Rather, Israel claims to be a democracy with the most moral army and occupation in the world. Under that paradigm, how can we reconcile the suppression of popular protest? Moreover, how can we justify it for 43 years and counting? Coteret has been a close follower of the current Israeli government’s groundbreaking approach to diplomacy. Previous installments in the series included: Danny Ayalon, Experimental Diplomat, Why a Neoconservative Ambassador to Obama’s Washington is an Interesting Idea and Dore Gold, Just What Israel Needs at the UN. Below is the latest chapter: Ministers Have No Time to Meet Friendly Parliamentarians. The Foreign Ministry source mentioned Hasbara and one is reminded that time has been found for Ministerial engagement in patently silly public diplomacy schemes. This is no way to promote a PR campaign: Israel’s Ambassador in Copenhagen Arthur Avnon was reprimanded last week in Denmark after Danish MPs were humiliated while visiting Israel. A group of Danish parliamentarians and members of their Foreign Policy Committee visited Israel recently. The influential group, which comprised members of the pro-Israeli Conservative People’s Party expected to meet senior Israeli policymakers. In practice, however, the Foreign Ministry was unable to convince any senior official to meet with the distinguished guests.All the attempts to arrange a meeting with one of Israel’s 15-member diplomatic-security cabinet or other leading politicians have failed. Only after great efforts were made did the Foreign Ministry manage to arrange a meeting for the Danish visitors with Transportation Minister Israel Katz. The Danish Embassy in Tel Aviv notified the visitors that a meeting with a transportation minister will not match their wish to meet foreign affairs policymakers. The angry delegation went on to visit the PA and Syria, where hospitality was properly bestowed upon them and they were received by leading government officials. The Danish delegation members were further upset after Israel refused to let them tour the Gaza Strip, acting on its prevailing policy to deny such visits until Gilad Schalit is released from Hamas captivity.